QuickBooks, while a great software program, is a “generic” accounting program. Even though there is a “Contractor version”, it was designed to meet the needs of all types of contractors – from the home handyman to a general contractor. Only through the use of QuickBooks integrated add-ons will you find that it then becomes a viable substitute for the more costly construction specific accounting programs available. 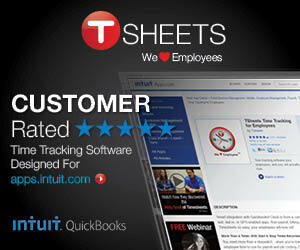 Tuesday Training is a new feature here on the QuickBooks for Contractors blog. While everyday focuses on training of one sort or another, Tuesday’s are dedicated to more in-depth training. We’ll teach you the things you need to know about using QuickBooks, that you won’t find in the QuickBooks Help file, in order to successfully run your construction business and obtain accurate job costing reports; from eBooks, live webinars, and recorded training sessions. You’ll find high-quality (budget friendly) training without having to leave the comfort of your home or office. Whether you currently use QuickBooks or are thinking of using QuickBooks for your construction accounting package you need to be aware that QuickBooks, while a great software program, is a “generic” accounting program and will not do everything that you may need it to for your business by itself, unlike more expensive construction specific software. If you are like most contractors, you probably do not think of yourself as a “computer hardware/software expert’. In fact, when faced with the thought of purchasing new computers and/or software to automate critical, time consuming tasks within your business, you end up feeling overwhelmed. Many contractors end up turning the project over to someone else. This unfortunately, is one of the major reasons that this type of project fails. Get the complete article from our companion site – Learn to use QuickBooks in your construction business – to find how you can make your project succeed! We hope that you’ve found today’s Tuesday Training article to be helpful to your business – if so please take a moment to leave a comment or share this with others on your favorite social media network using the buttons below. Not able to download the article………..I know it has been on here a while, does it expire?? Hi Annie, thanks for letting me know – WordPress has done this a couple of times since I did the update – the link is all fixed and I’ll email the link to you directly. The link to download the article doesn’t appear to be working.